Achadinha Cheese Company is owned by Jim and Donna Pacheco of Pacheco Family Dairy. Established in 1955 in Bodega Bay then relocated to Petaluma in 1969 by Jim's father. Jim and Donna reside on the ranch with their four children to carry on his family legacy. Jim Pacheco is a third generation dairyman and cheesemaker. The Pachecos raise over 1500 goats who roam freely. Depending on the season, the animals eat varying amounts of pasture supplemented with feed hay and brewers grain purchased from local breweries. 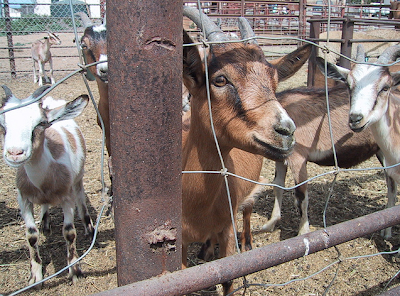 The goats are never given hormones or antibiotics. 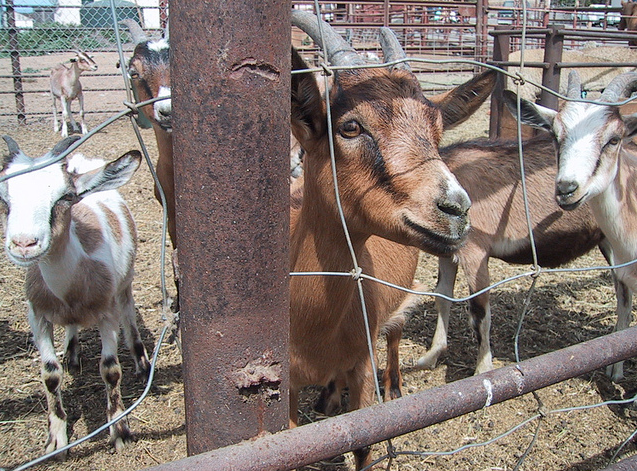 In 1997, Jim and Donna sold their cows and bought dairy goats. They now have close to 1600 goats. The girls are able to eat pasture all year long on 290 acres and eat all of the brewer’s grain from the local breweries they want. When it rains and they refuse to go out, then they are supplemented with alfalfa hay. Along with the goats, Jim and Donna have dogs, horses, beef cows, pigs, sheep, and chickens . Most of the milk that comes from the Pacheco's goats is used to produce Achadinha Cheese Company cheeses; the rest is sold to other cheese companies. The Pacheco Family strongly believes that it is important for people to know where their food comes from. All cheeses are handmade by Donna Pacheco. Capricious (Ca-pree-shus) ~ won "Best in Show" at the American Cheese Society event in 2002 and named one of Saveurs "50 favorite cheeses in the United States" in 2005. Capricious is an aged cheese hand rolled in an old european style. A truly unique artisan cheese made with attention to detail and naturally aged in the fresh Pacific Ocean air. Savor the flavors as this cheese travels through the palate. Broncha (Bron-ka) ~ Inspired by a Portuguese family recipe and infused with the subtle flavors of the brewers grains fed to the goats, Broncha is a gentle table cheese. Try shaving it over your best veggie recipes to add the special flavors that only goats milk can provide. Feta ~ Pacheco Dairy's pasteurized goat's milk Feta is a fresh style Feta, that is soaked in a sea salt brine and delivered to market within four weeks. The Feta has a sweet creamy taste and texture with a fresh brine finish.